The ancient swan necked Roman Hoe or Sarculum was used throughout the Roman Empire. The word sarculum comes from the word for sowing or hoeing. They were two types; the smaller lighter hoe and the heavier or larger sarculum. The swan necked hoe that I used as a model comes from a picture of a bas-relief from Hadrian's time in Rome in the 1st century CE. This hoe is still commonly used in many European countries including Greece, Spain, France and Italy. 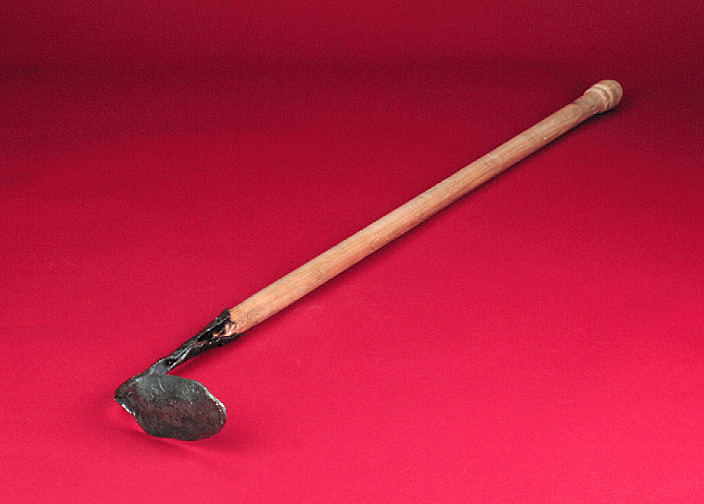 The hoe is the earliest distinctly agricultural implement. 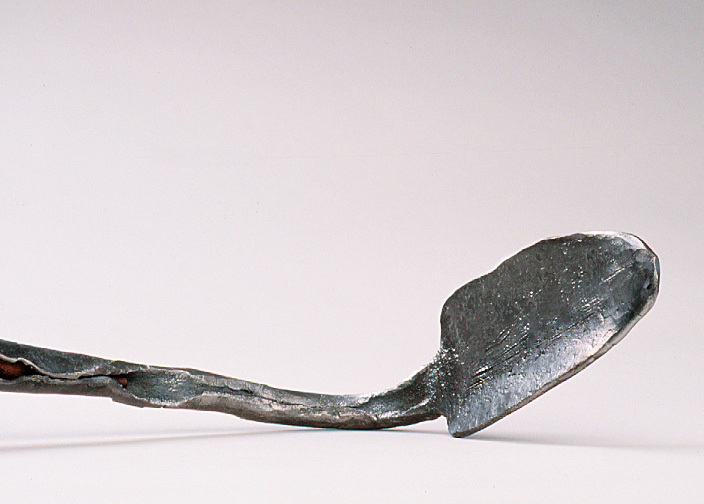 First the digging stick was used, then deer antlers, a bronze hoe was discovered from 2000 BCE in the Caucasus. Exact information of the precise shape and size of the sarculum hoe is lacking because the tool was so common there was no need to describe it in literary sources. Pliny, writing in the 1st century CE, tells us that the larger sized sarculum was used in hilly or especially rocky country for breaking or turning over the soil in place of early plows which did not work in those regions. It was also used after the plows had been through to break up the clumps of dirt left behind by the plows.The lighter type or smaller sarculum had a variety of uses. In grain cultivation frequent hoeing during the growing season is necessary to keep the weeds down, aerate the soil and separate plants.